Having a Thai girlfriend can be a good or bad experience. For me it has been a interesting thing to say the least. Over-all it has been an important phase in my life. Life is a strange journey. Your tastes change. Life can take you to new places. One of the places that it took me was Thailand. Over the past several years I got involved with quite a few Thai girlfriends in serious relationships and casual flings. I have been getting mail from guys wanting advice on Thai women. Some of the guys are going through serious girlfriend/marriage issues while others are just busy doing casual dating and having fun. On my side I learned new things about women and also about the Thai culture. This has made me into a more observant man. I wanted to write about what I have learned and make a list of lessons or anecdotes about them. This is my Thai Girlfriend guide. A reference to help guys out and to give insights on what I have learned. One of the things I learned is to allow her to play the feminine role in the relationship. This was a bit different than what I was used to back home – dating Westernized women. A major difference is that Thai ladies know and want to express their feminine side. This was not always the case with other women I dated back home. The women I dated prior to Thai ladies did not always give that feeling to a man. Westernized women wanted more “equality” in certain situations, while not wanting it in other situations. This was kind of confusing to me. Some of the times they even wanted to play the manly role. I was dating a Thai lady in Bangkok and she would always want me to drive her car when we went out. She automatically gave me her car keys and asked me to drive. Even something as simple as always making sure we had the right Thai food items at our table while we ate at the restaurant. A Thai lady would always take care of me in small feminine ways. She would make sure I was satisfied sexually and always doing the small submissive things that made me feel her femininity. There was a natural exchange of male and female energy which was refreshing to both of us. These types of things happened with pretty much all the women I dated in Thailand and other Asian women in the area. Of course in return I made sure my Thai girlfriend was satisfied and felt happy that I was the man in the relationship. I made sure she felt safe and protected. I also made sure she knew that she could depend on me as a man. I would never ask her to pay for our meals, or other expenses. Some of the women were always happy to pay for small things like popcorn at the movies, or coffee and dessert. When you date a Thai lady you should know that they prefer this type of dynamic with a man. They show you respect through their feminine qualities. Try not to be stingy or cheap with her. I know this can be said about all women, but even more so with a Thai lady (especially the hotter ones). This simply means that you don’t count every penny when you are with her, or always looking for the cheapest thing around. In Asian cultures spending money on a woman is not a big of a deal. Like I was saying before it is part of the man and woman dynamic in these types of cultures. If you end up spending a bit more than you should don’t make a big deal out of it. This is also true for the Thai bar girls and freelancers. It pays off in the long-term if they see that you are not a cheap man. When it comes to a Thai lady it is better to say what it is really on your mind. Playing “hard to get” or “beating around the bush” is not really a good idea with Thai women. I noticed that in Asian cultures it is much more effective for a man to take charge and say things with intent. If you want to say something then say it. If you want to do something then do it. The more that you play games with a Thai lady the more it can work against you. This was different from what I was used to back home. In western type cultures the man and the woman play too much games with each other. It can actually work in your favor if you “play hard to get” with a western lady. The more you show disinterest the more it can work in your favor sometimes. With a Thai lady she might think you are not interested in her, or she might think that you are wasting her time by playing useless games. So from my experience I noticed that it is better to say what you really want. And as long as you do it with confidence it will be a better approach. Thai culture is really big on respect. Especially respect towards ones family. One of the best ways to show respect to a Thai lady is to be considerate of her family. Show to her that you care about her family by asking how they are. And be genuine about it. If she has kids then also ask about the kids and how they are doing. Don’t just focus on her, but also about her family. A Thai lady will really appreciate this respect that you show her and she will return in also. In many western cultures the man rarely is concerned with a woman’s family until they are in a serious long-term relationship. In most cases the guys are only interested in the woman and how they can get intimate with her. In Thai culture it is different. One of the best ways to show respect to a woman is to show genuine concern about her family members. This will make her respect you and like you more. You should be extra respectful around a Thai lady. They can show extreme jealousy and paranoia if they sense that you are giving attention to another female. This is actually one of their negative points. They can be quite possessive and jealous. I know that most women have this quality, but trust me, it is at another level with Thai women. If you embarrass them and they feel like they “lost face”, then watch out. It can get bad very fast. She will have no problem letting you know what is on her mind, even in front of others or in public. Asian women do not really believe in “friendship” between a man and a women. In Western type cultures a man can get away with having many lady friends, and his girlfriend or wife might be fine about that. This is not the case with Thai girls. So just be careful and think twice about how you interact with other women around them. 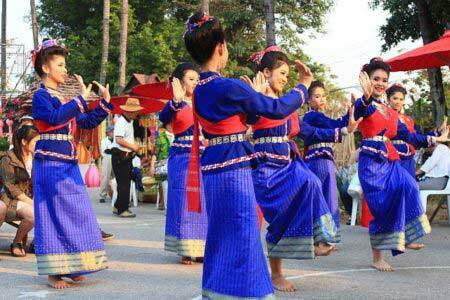 The Thai culture has a respect factor that comes with it. Thai people are generally very respectful of their country and their culture – including their main religion Buddhism. She will respect you more when you show some respect about their culture and way of life. This also really improves your chances of them liking you more. Respect and attraction are more closely related in these types of cultures than others. The more a Thai lady can respect you the more she tends to want you. One of the best advice I can give you is to stay humble in your interactions with a Thai lady. Having too much ego here as a foreigner will not take you that far. Don’t pretend to be something that you are not, and don’t try to purposely be arrogant to prove a point. In this culture being respectful and humble about things will get you better reactions from the ladies. The women in Thailand are very intuitive and perceptive of men. They will see right through you if you are thinking that you are better than everyone else just because you are a foreigner.